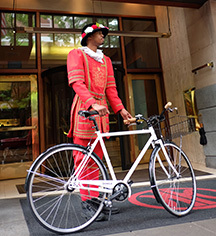 Portland, Oregon is a culturally rich city with an illustrious history of music, theater, and other art forms. This continues today, with many bands and artists citing Portland as thier home. 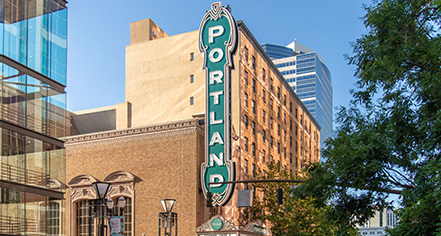 Visitors to Portland will find a unique city with a vibrant culture nestled in the lush wilderness of the Pacific Northwest. The Oregon Historical Society is dedicated to making Oregon’s long, rich history visible and accessible to all. For more than a century, the museum has served as the state’s collective memory, gathering and preserving a vast collection of artifacts, photographs, films, manuscripts, books, and oral histories. Home of the Oregon Symphony Orchestra. Enjoy concerts and live entertainment. Known as Portland's living room, this amphitheater-style public square hosts many events throughout the year, such as farmers markets or concerts. One of the oldest museums in the country and home to many impressive works of art. This 64-acre zoo is home to over 2,500 animals across five major exhibit areas. The Oregon Zoo also works tirelessly to save endangered species by funding research programs and providing grants to local and global conservation efforts.